Are you trying to decide what type of career is right for you? It's only natural to look for cool career ideas when thinking about what to do with your future. After all, you'll spend quite a bit of your adult life working. Why not find something you love that also provides a way to earn a good living? There are plenty of options you might find to be cool, based on what you enjoy and hope to accomplish. Airplane pilot: This exciting career allows you to travel all over the world at the helm of extremely sophisticated machines. There are multiple routes to becoming a pilot, and you can start your path today! Event planner: Event planners thrive in high-energy, high-stress environments. If you love coordinating a team to pull off the perfect gala or party, event planning is a great option. FBI agent: Working for the FBI can mean anything from tracking drug shipments to investigating murder cases or white collar crimes. Jobs in federal law enforcement are exciting and challenging! Firefighter: If you'd rush into a burning building instead of away from one, you may have the courage to be a firefighter. This job is dangerous and difficult, but rewarding. Investigative reporter: If you're always curious about the story behind the story, you might be interested in investigative reporting. By digging deep, you'll be able to discover and share important information with the public. Photojournalist: With images and video becoming a more and more important way of sharing information online, it's an exciting time to be a photojournalist. If you enjoy crafting images, traveling on location, and more, this could be your perfect career! Police officer: People who want to protect and serve the public often become police officers. A career in law enforcement is not without risks, but it can also be very rewarding. This career is definitely not a boring one! Professional athlete: Many kids dream of being a professional athlete. With the right skills, training, and opportunities, the dream can come true! Private investigator: Private investigators work to uncover the truth for individual clients. If you have a nose for details, a lot of determination, and clever tact, being a private investigator could be a great fit. Skydiving instructor: Do you love to jump out of airplanes, and want to pass that joy along to others? Being a skydiving instructor may be your calling. With courage and patience, you can help others experience the thrill of flight! Attorney: Being a lawyer allows you to help your clients get their day in court. It can be both rewarding and challenging. Human resource manager: Being a human resources manager means that you will have access to quite a bit of confidential information, so you'll need discretion and tact to thrive in this career. Curator: Behind the scenes of every museum, art gallery, or university art collection is a professional curator. If you enjoy discovering treasures and arranging them for others to see, this is the perfect career for you! Librarian: A librarian is not only in-the-know as an individual, he or she also facilitates other people's access to information. If you love books, information, and knowledge, you may enjoy being a librarian. Paralegal: A paralegal is the behind-the-scenes expert that assists a lawyer with case preparation. If you enjoy knowing the details without being out front, this could be a great career. Politician: Politics is the ultimate in-the-know career. Politicians not only know a large number of people, they also know what is planned in local, state, or federal government. Publicist: If you enjoy bringing light to causes that matter, helping people manage their reputation, and more, you would love to be a publicist! Sports marketing: If you love sports and have a flair for promotion, you may fit well into a career in sports marketing. Over time, you'll get the inside track with athletes and help promote teams and industries. Sports agent: If you prefer one-on-one connections with athletes, being a sports agent could be perfect for you. You'll build relationships, help broker deals, and get athletes the attention they deserve. Talent agent: If you love helping people in their careers but don't enjoy sports, consider being a talent agent. As a talent agent, you can help comedians, actors, models, and other performers book shows and grow in their careers. 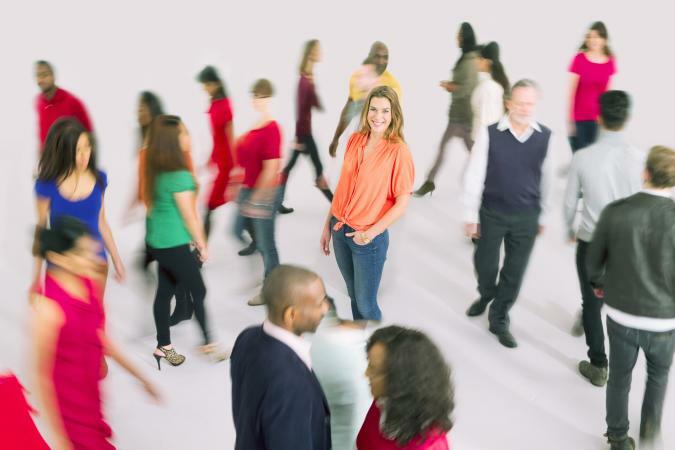 Career coach: A career coach helps people understand what their gifts and talents are, and how these attributes can help them earn a great living. Counselor: A counselor or therapist works with people to help them through painful experiences. You may also work to correct maladaptive behaviors and help people become their best selves. Doctor: As a doctor, you'll be helping patients understand if they are ill and how they can get better. There are a variety of specialties in medicine, and the pay can be excellent. Fundraising professional: If you want to help out the causes you care about on a larger scale, you can become a professional in the area of fundraising. From writing letters to setting up events, you are key to the organization's success. Mediator: A mediator helps people or groups work through very difficult, stressful negotiations. You can help people resolve their differences without going to court, which can be very rewarding. 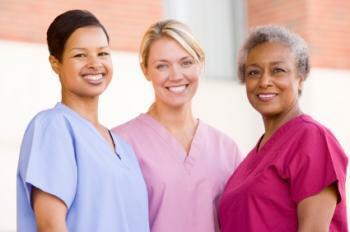 Nurse: As a nurse, you'll be the eyes, ears, and heart of a medical facility. You'll have a lot of daily patient contact, and you'll help people overcome illness and return to full health. Nutritionist: A nutritionist helps others overcome poor eating habits. By understanding food and its role in the body, you can counsel others to make better choices, lose weight, and even improve disease symptoms. Social worker: Social workers serve an important role for underprivileged and struggling populations. From helping families to assisting veterans, you can make a difference as a social worker. Teacher: If you love seeing someone's eyes light up when they finally understand a concept, teaching may be for you. From preschool through college, there is a need for teachers at every level. You can even teach online! Virtual assistant: A virtual assistant is someone who keeps things going well for his or her clients. Whether it's answering phone calls or arranging travel, you are someone's right hand! Actor: There's very little that's more creative than turning yourself into different characters. As an actor, you have that opportunity - especially if you start young! Cake decorator: Decorating cakes lets you express your creativity in a way that's unique and edible! There's always demand for special cakes, so this can be a great career. Dancer: Being a dancer involves grace, poise, and a lot of discipline. Many people grow up dreaming of being a dancer. If you have the talent and the drive, why not make that dream a reality? 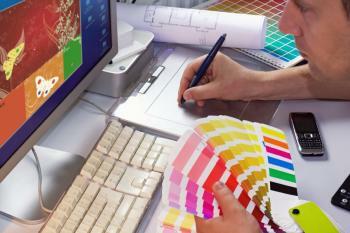 Graphic artist: Being a graphic artist can mean anything from drawing and painting to doing digital design. Technology has taken art to a whole new level, and you can take advantage of it. Fiction writer: Writing fiction allows you to create whole new worlds. This can be a challenging career, but sharing stories with the world makes the struggle worthwhile for many authors. Interior designer: Many people want their home to look put-together and beautiful, but don't have the time or skill to pull it off. If you excel at interior design, you can make a career out of making homes gorgeous. Landscape architect: Architecture isn't just about building! Landscaping can require many of the same skills as designing structures. When you landscape, you go beyond planting flowers to building exquisite water features, patios, and more. Musician: Do you have the skill and passion to make music? Music speaks to the soul in a unique way, and a career as a musician can allow you to take part in that message. Photographer: Capturing both natural and manmade beauty through the lens of a camera is a consuming passion for the career photographer. There are many ways to work behind the lens, from food photography to nature journalism. Give it a try! Songwriter: Many singers do not write their own music, or do not write all of it. As a songwriter, you can influence a variety of genres through your words. Aquarist: If you have a fascination with the world below the surface of water, being an aquarist could be perfect for you. Your work would involve setting up and maintaining aquarium exhibits. Habitat specialist: A habitat specialist helps animals feel at home in zoos, rescues, and other enclosed homes. You would learn and then build the environment that the animal experiences in the wild. Marine biologist: Want to know more about the animals of the sea? A marine biologist studies how marine life lives, behaves, and interacts. Park naturalist: If you love nature and want to share that love with other people, being a park naturalist could be a great fit. You would educate people about the natural world and help them love it as much as you do! Pet adoption counselor: Do you love to see animals connected with a new home? By being a pet adoption counselor, you could help that become a reality. Interview potential owners and help pets find a happy home! Ranch hand: If you like to work with animals on a farm, you may enjoy a career on a ranch. Be a real-life cowboy as you handle cattle, sheep, and more! Veterinarian: Making sick animals well is the focus for a veterinarian. It's the perfect way to live out your love for animals. Veterinary technician: Veterinarians need help giving animals the love they need. 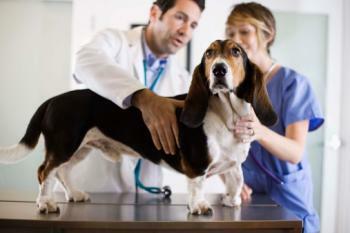 As a veterinary technician, you'd play an important role in the animal medical world. They need you! Wildlife rehabilitator: Wildlife can get hurt in a variety of ways. If you love to nurse wild animals back to health and get them ready to return to their natural habitat, being a wildlife rehabilitator could be the perfect career. Zoologist: As a zoologist, you would research animals in the wild or in captivity. You would help zoos understand how they can best care for the animals they display, and provide expert advice in a variety of situations. As you move forward with your career plans, it's certainly important to think about what type of work seems cool to you; however, that is not the only important factor to consider. The fact that you enjoy a certain type of activity doesn't mean that it is a good career option for you. Some activities are better suited to be hobbies than careers. You may enjoy skydiving occasionally, but not everyone who likes this activity wants to engage in it on a daily basis. Other careers are fun and intriguing, but it can be difficult to make a decent living doing it. In cases like that, it might be best to pursue a career that you enjoy and keep your cool activities as a hobby. It doesn't mean you will hate your job, but rather that you work in something that uses your skills while seeking your thrills on the side. 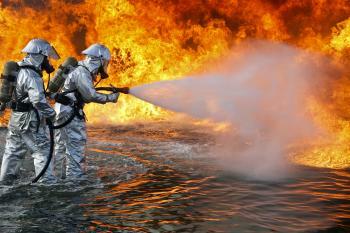 The idea of being a police officer, FBI agent or firefighter may seem exciting, but these jobs can very different than the way they are portrayed on television and in the movies. They're not exciting every minute of the day, and they can be dangerous and stressful. As a result, what seems like a cool idea may not be a good fit for you in real life. It's also important to consider what the demand is like for the occupation that you are considering. For example, many people want to become professional athletes, but breaking into this profession can be very difficult due to the high level of competition and limited opportunities. As another example, working as a physician can be a great way to fulfill your desire to help people, but you need to realize that you'll spend many years in school before being able to reach this career goal. Make sure that you have a realistic idea about the realities of the day-to-day work involved in the field you are considering before making a final decision. Also, consider what kind of education or training is required. If you do your homework, you could find yourself with a cool job that you enjoy, that fits your talents, and that pays well.